It is surely time for a serious, non-partisan, open-minded public policy discussion of the subject of Indigenous people. I believe there is a very strong consensus that everyone wishes them well; most people acknowledge that the native people have some legitimate grievances and want to address them, and almost everyone acknowledges that official policy in this area has been unsuccessful. And a great many people are tired of the issue and impatient for a change in the ambiance of ever-greater expense and more militantly expressed native grievances. The federal Ministry of Indigenous and Northern Affairs spends approximately $10 billion per year, and there are substantial expenses in this area in some other departments and by provincial and territorial governments. There are about 1,500,000 Indigenous people, of all descriptions, in a Canadian population of some 36 million. Indigenous people are about two to three per cent of the populations of Ontario, Quebec, New Brunswick, Nova Scotia, and Prince Edward Island, five to seven per cent in Newfoundland, Alberta, and British Columbia, around 15 per cent in Manitoba and Saskatchewan, and rather more than 50 per cent in the three territories combined. Despite the fact that many hundreds of billions of public dollars have been spent with constructive intent in Canada in this field since the Second World War, and for decades Canadian courts have generally been very sympathetic to the petitions and legal demands of native groups and individuals, it is not discernible that their condition, quality of life, or socio-economic levels of achievement have progressed much. Everyone regrets this and very few people claim to have much idea of what to do about it. It is a highly sensitive issue and any discussion of it is fraught with the explosive danger of being construed as racist, reactionary or misanthropic. I am none of those and I think that most people can agree that any analysis of this subject must begin with a recitation of facts, some of which conflict with conventional wisdom and the habitual case advanced by nativist militants. Most of the Indigenous were nomads. They did not occupy this country in the conventional sense, though it is easy to think otherwise when almost every ceremonious official begins all public remarks with a reference to the native group that was traditionally, in pre-European times, at or near the place where they are speaking. They did not build many structures intended to be durable, and mainly lived in tents which they moved frequently (or igloos). The exceptions were fairly rudimentary wooden structures, which is why the location of unsuspected burial grounds creates such controversy when raised as evidence of an ancient settlement. The natives were themselves immigrants, across the Bering Straits between Siberia and Alaska, more than 40,000 years ago. The Indigenous people were extremely skilled in various handicrafts, and as woodsmen, hunters, and warriors; they were physically remarkably strong and nimble and had a life expectancy approximately equal to Western Europeans at the time of contact. But the claim that the civilization the Europeans found in what is now Canada was in any other sense competitive with that of Western Europe is nonsense. For all its failings, this was the Europe of Shakespeare, Descartes, Galileo, Michelangelo and Leonardo. Many of the things we think of as touchstones of an advanced technological society — agriculture, written languages, metallurgy and knitted fabrics and materials — were largely or entirely absent. Even the wheel was not to be found. It is also bunk that the Europeans invaded and usurped an Indigenous "nation" or group of nations, in the manner that is now often implied, similar to how Nazi Germany invaded Poland or the Netherlands. The country was very sparsely populated and no native group or authority purported to govern anything larger than mainly itinerant bands or tribes, or to have borders or any concept of national space and jurisdiction. 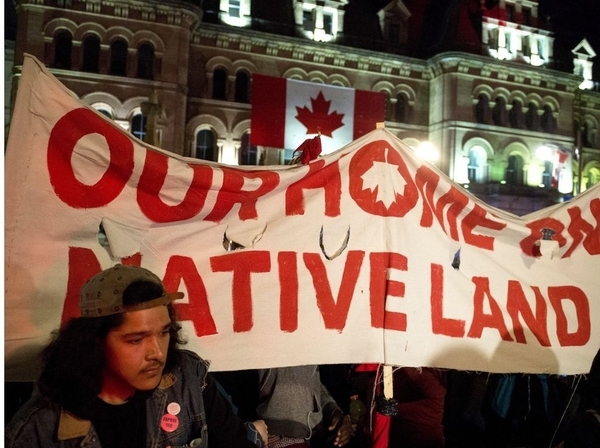 Europeans and those from other continents who immigrated legally to Canada and their descendants, have a right to live here equal to that of any Indigenous person. Frequently made allegations of attempted genocide against Indigenous people by Canadian governments rest on one written command by the agitated British general Jeffery Amherst during the Seven Years' War that perhaps a communicable disease could be put in some blankets distributed to rebellious Indians, but nothing came of it, and the incident did not occur in and has nothing to do with Canada. The claim of cultural genocide, an attempted transposition of the concept of physical extermination, as in Nazi death camps, to education, is also fraudulent. As I have written here and elsewhere before, it is scandalous that the present federal chief justice would fasten the prestige of her position to such a monstrous defamation. It was misconceived and unevenly administered and much horror and great sadness resulted. But the alleged desire of Justin Trudeau to ask Pope Francis for an apology is an outrage. The churches involved were carrying out government policy. And the national inquiry into missing and murdered Aboriginal women is itself another flawed exercise. There are 164 missing Aboriginal women, and there have been, since 1980, about 1,100 Aboriginal women murdered, and about 90 per cent of those murders have been solved — a similar proportion to the success of homicide investigations for non-Indigenous women. The plight of Aboriginal women is tragic and distressing, but we already know many of the reasons behind it, and could begin meaningfully addressing them today while sparing us the expense and delay of an inquiry that has been dysfunctional from the very outset. This federal government should stop truckling to this Anglo-French-Canadian self-hate, which is a blood libel on French and English-speaking Canadians. It should restore the Accountability Act of the Harper government and impose a reasonable standard of conduct on the most autocratic native leaders. A referendum should be held among native people offering a series of generously funded options, from assisted integration in the society of the whole country to continued separateness, but with assurances of responsible local government and meaningful employment, even if in useful forms of workfare. And there must be some theory of eminent domain for the national interest in matters like the Kinder-Morgan pipeline, with equitable compensation where appropriate. There are many splendidly motivated and very qualified experts in this field, native and non-native. The governments should avail themselves of them and end this long slide into deepening victimhood unjustly laid at the door of the whole population of Canada. Almost all Canadians are altruistic and want treaties that have been violated to be honoured with compensation. But they are tired of grovelling to complainants, many who are not blameless in their own condition, and of courts even accepting to hear such nonsense as the claim that Ktunaxa Nation of 800 people would suffer religious persecution by the departure of the spirit of the grizzly bear from a mountain in the Kootenays if a ski area were built on part of that mountain, and that they had been inadequately consulted under the Charter of Rights and Freedoms after 25 years of intense good faith negotiation. In this as in some other matters, Canada must behave as the mature and well-motivated country that it is, and condemn efforts to portray John A. Macdonald, chief founder of the country and a great statesman even in the era of Lincoln, Bismarck, Disraeli, and Gladstone, as an evil racist. As Michael Ignatieff used to say (rather ineffectually): "Rise up Canada;" generously but firmly.